The final chapter, 450th unit, of the once fastest car on the planet was sold off at the Geneva Motor Show. With a 16-cylinder W16 engine producing 1,183bhp of maximum power and a peak torque of 1,500Nm, accelerating from 0 to 100kmph in 2.5 seconds, the Veyron hit a world record top speed of 431.072kmph for a road going GT car. 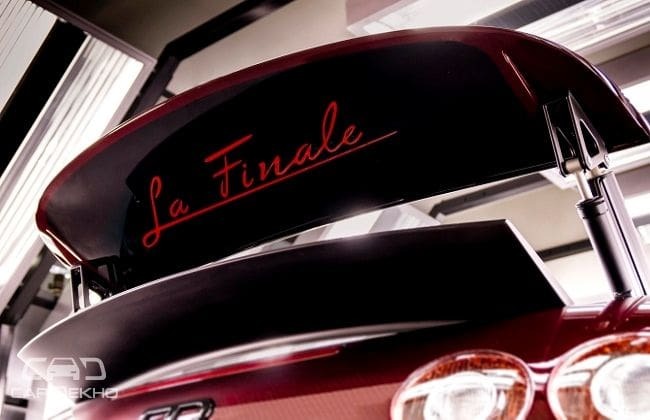 The final unit sold out is a roadster with a chassis number 450, the Grand Sport Vitesse ‘La Finale’. The first Veyron 16.4 made its debut in 2005, followed by the open-top version in 2008, the Veyron 16.4 Grand Sport. With the Americans joining the top speed race with their Ultimate Aero, in 2010 the Veyron 16.4 Super Sport got increased power and then was joined by the roadster version, the Veyron 16.4 Grand Sport Vitesse, in 2012.